Texans will argue that brisket reigns supreme when it comes to barbecue. If you’re open to being convinced otherwise, visit Slab BBQ & Beer, where the pulled pork isn’t too shabby, either. Getting out of my Uber in front of the Long Center last Sunday and seeing the crowds gathering to eat some of the best barbecue in Texas gave me a slight feeling of overwhelm. 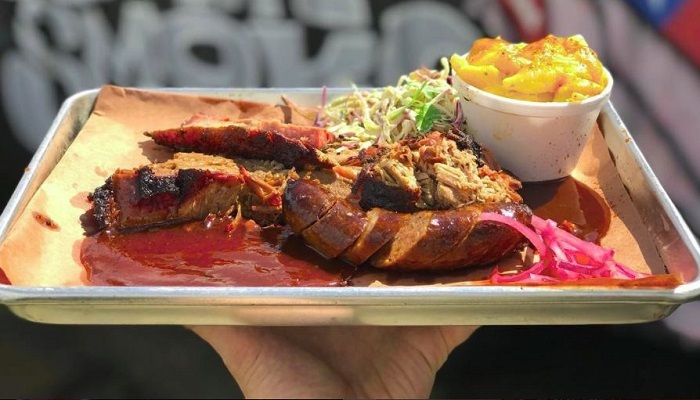 The 8th annual Texas Monthly BBQ Fest was the biggest one yet, with over 4,000 meat lovers in attendance. 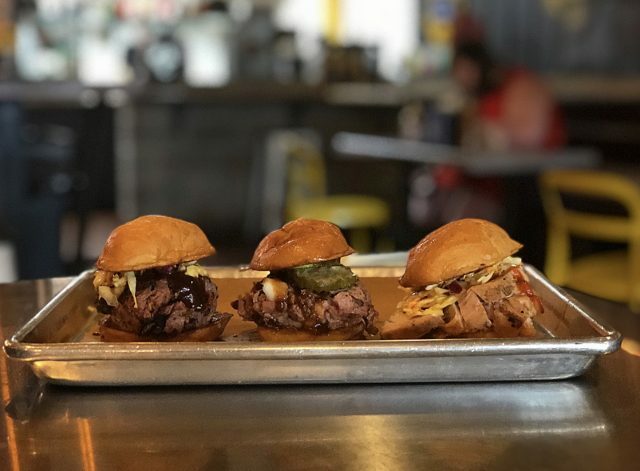 In Austin, barbecue is religion. 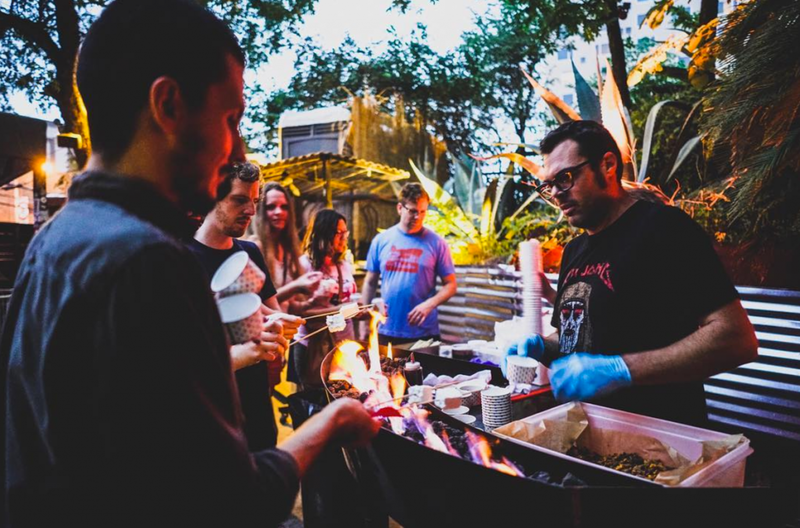 There are devotees of the Church of Franklin, disciples of La Barbecue, and followers of many other local barbecue faiths. 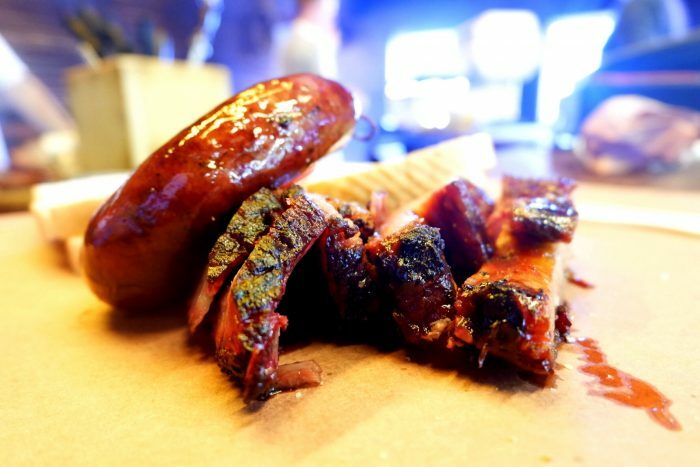 The quality and quantity of smoked meat destinations in Austin are true highlights of our city. While this is great for Austin residents and visitors, all the options can make it difficult for a smaller operation to make a name for itself. Luckily, for every Goliath, there’s a brisket-smoking, pork-pulling David hoping to stand out. Hot Luck founder Aaron Franklin of Franklin Barbecue, along with partners James Moody of The Mohawk and Michael Thelin of Feast Portland, just wrapped up a successful four-day food and music festival that featured more than 50 celebrated chefs from around the country, over half of whom reside right here in Austin. If I’ve learned anything from a year of living in Texas, it’s the fact that every Texan has a strong opinion about how BBQ should taste. Actually, “opinion” is a weak word in this case. “Indisputable truth” better explains the situation. 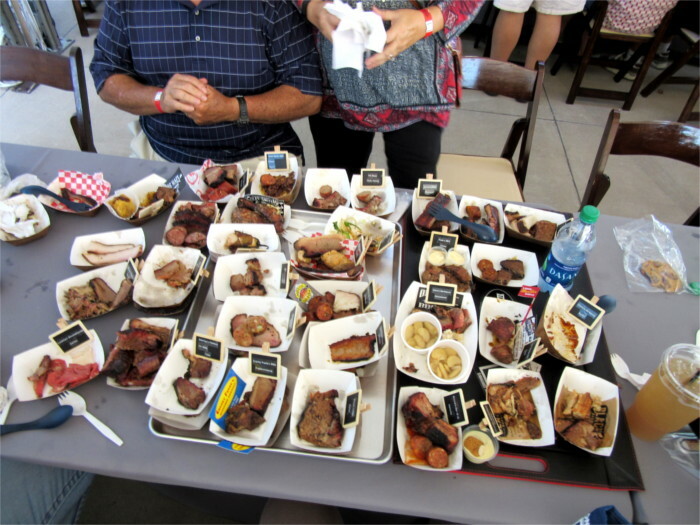 Texas Monthly invited 27 BBQ purveyors to participate in the 7th annual TMBBQ Fest at the Long Center on Oct. 30, 2016. 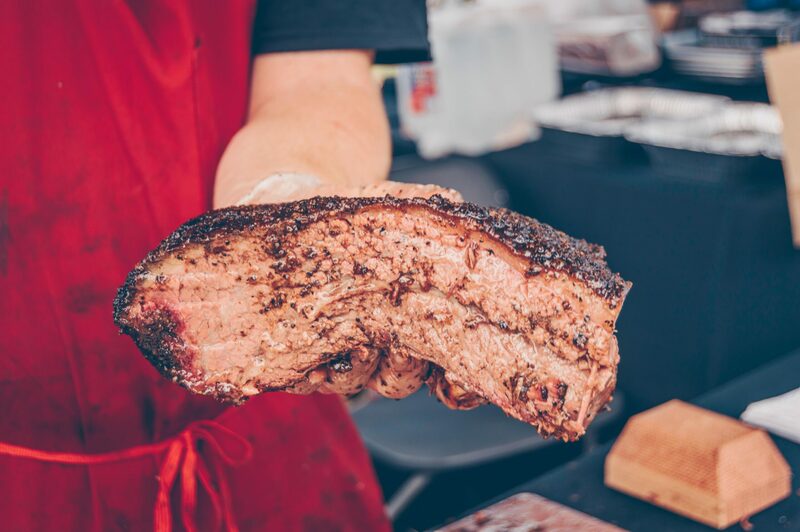 Austin pitmasters represented our city well, claiming five of the coveted spots at the festival and sharing the stage with others from among the top 50 pitmasters in Texas. The pitmasters, crews and volunteers brought in their smokers early to set up for the meat-tasting extravaganza of the year. A hungry horde of roughly 3,500 eaters put on their game faces and lined up for grub. Some families planned their tasting strategy ahead of time, employing a divide and conquer strategy. Others meandered about, going where the day and their noses led them. 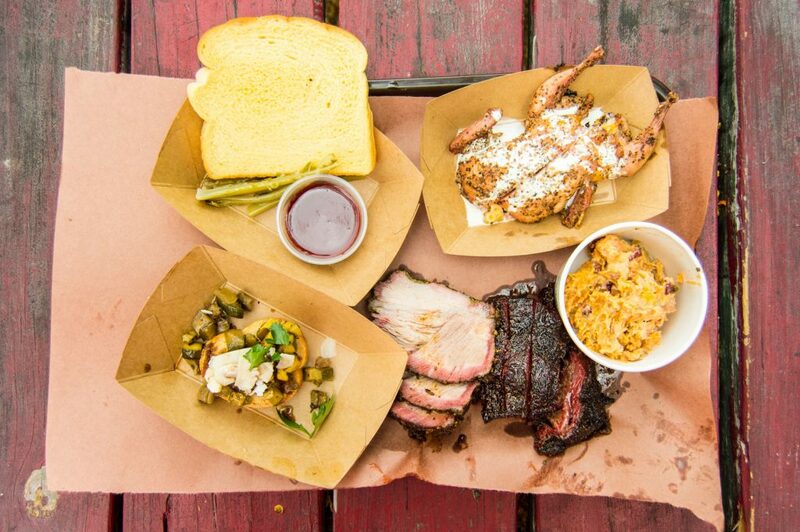 There is nothing secret about Austin barbecue anymore. We’ve covered it extensively here at The Austinot, while state and national media outlets have also taken notice over the last couple of years. 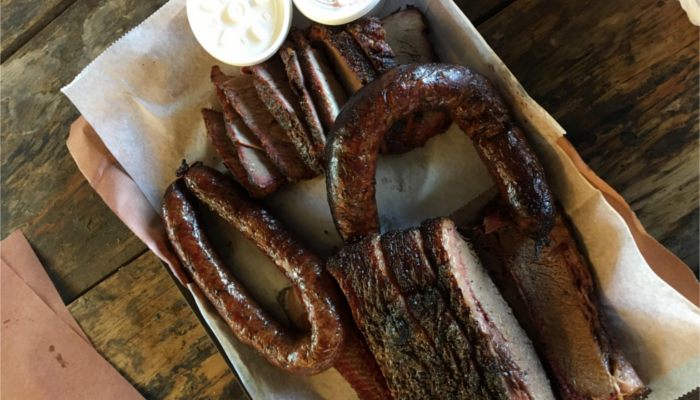 Barbecue has deep roots in the Central Texas area, contributing to Austin’s reputation as a growing tourist destination. 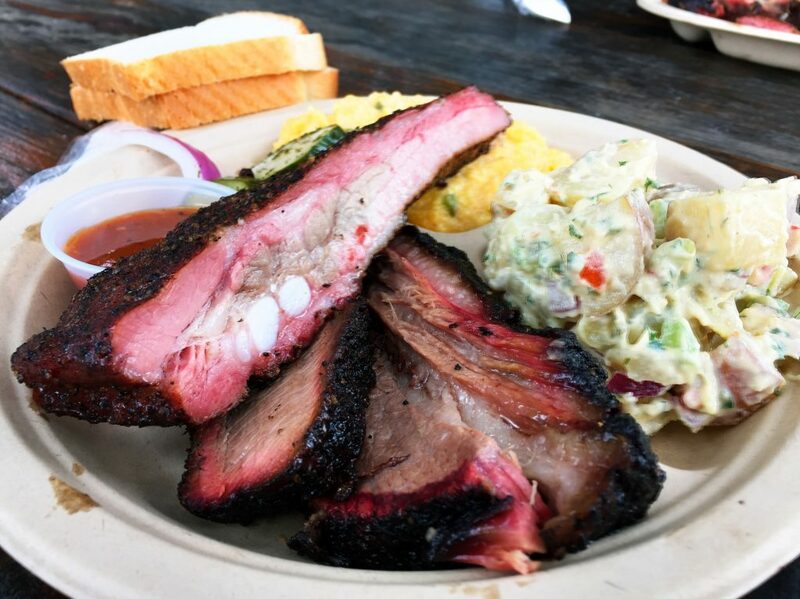 So where does that leave us locals when we want to get our brisket fix? 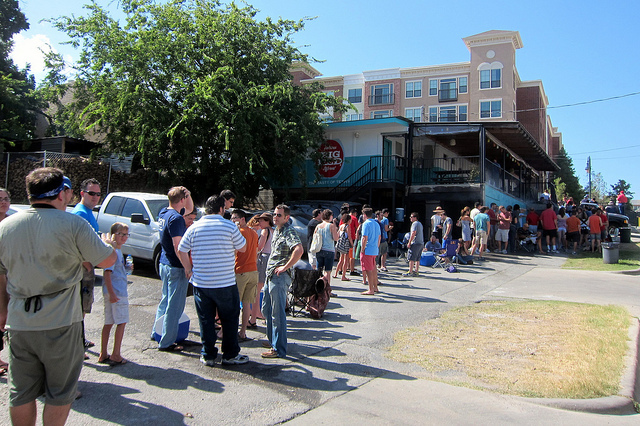 Franklin’s is the most notorious culprit, with 3-4 hour lines on a weekday not uncommon. But even a few of the other highly regarded barbecue trailers around town have you queuing up for hours at a time. Sure, there are other great barbecue joints around town that are open all day within the safe confines of an air conditioned building. But sometimes you get a hankering for a piece of greatness that can only come from the pit of a James Beard awarded pitmaster.